As soon as spring rolls around, all I want to do is prance around in floral dresses and rompers. 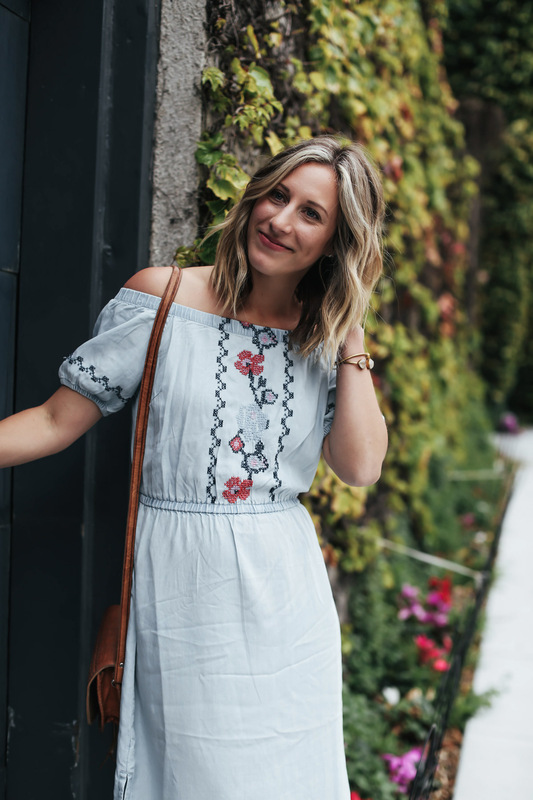 It seems like I’ve been building a collection of them recently, but instead of spending a ton, I’ve discovered some pretty incredible floral dresses for under $50! 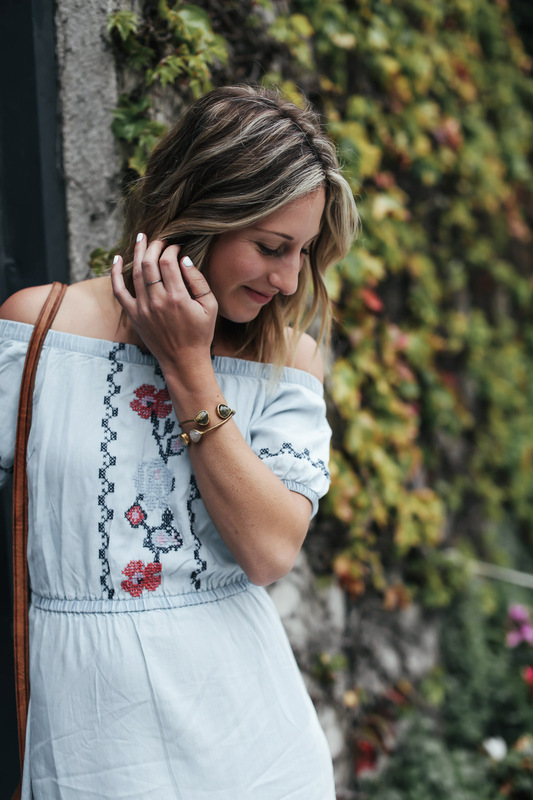 This off-the-shoulder number is from Old Navy and it’s only $40! Can you believe it? The embroidered detail makes it look much more expensive and so unique. It also comes in romper form and in more colors, including black and this gorgeous poppy red. Ideally, I would have worn it with wedges, but I’m in dire need of a new pair! So instead I paired it with some platform sandals and a leather cross-body bag. 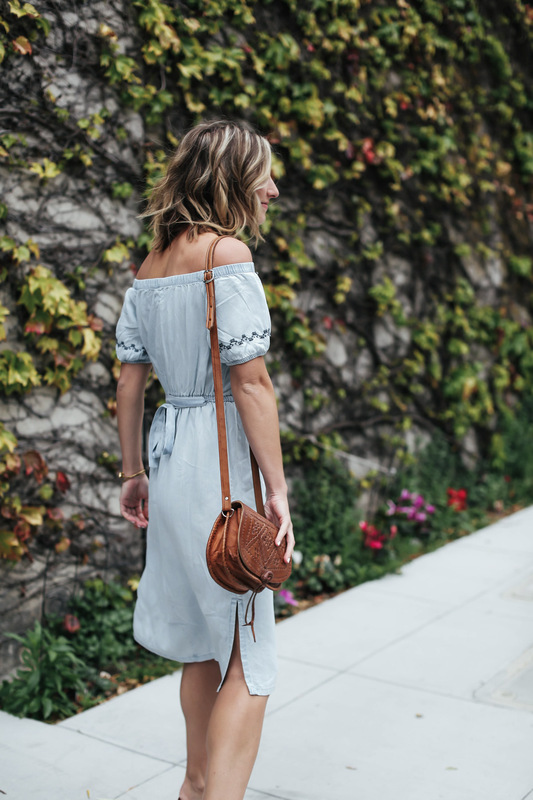 If you’re looking for some floral dresses for upcoming spring events, like weddings, easter, or bridal showers, scroll to the bottom of this post and shop my faves under $50! 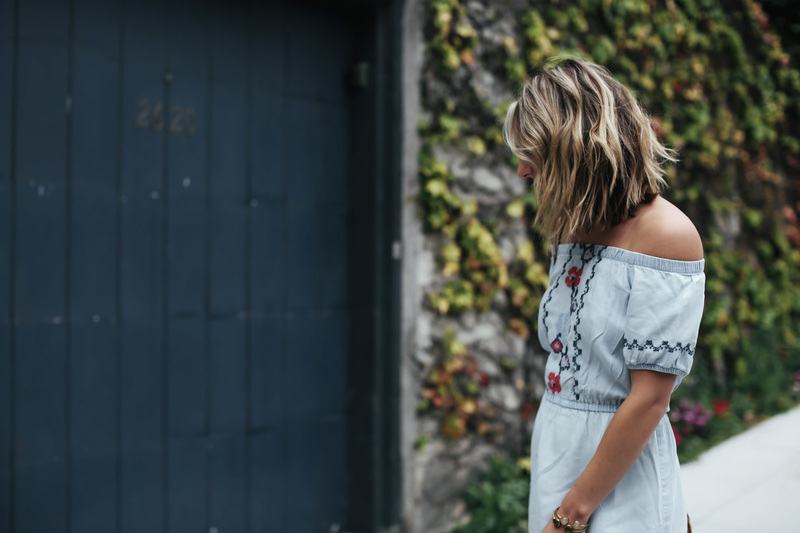 Even if you want to stock up for casual work days or weekend brunches, floral dresses are the perfect spring staple. 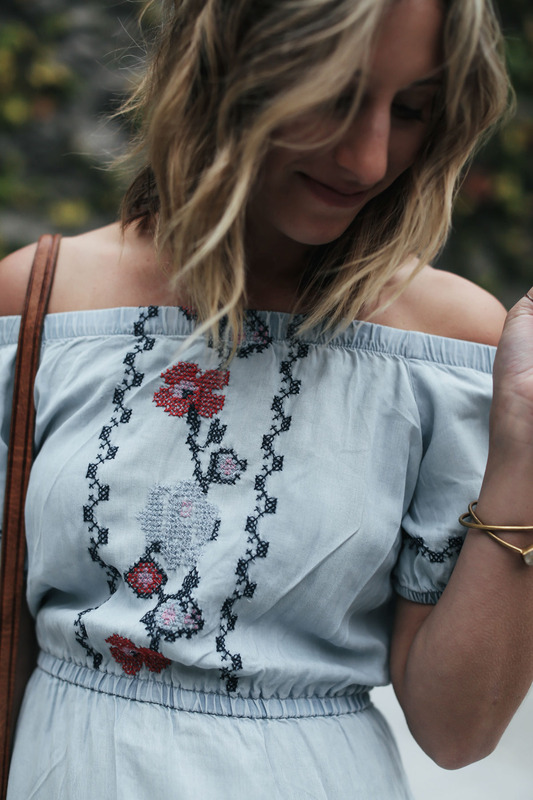 You’ll find more off-the-shoulder options, long-sleeve options, and a mix of various floral prints. Enjoy and let me know which one is your fave! and thank you for supporting the brands who support this blog! These are so pretty! 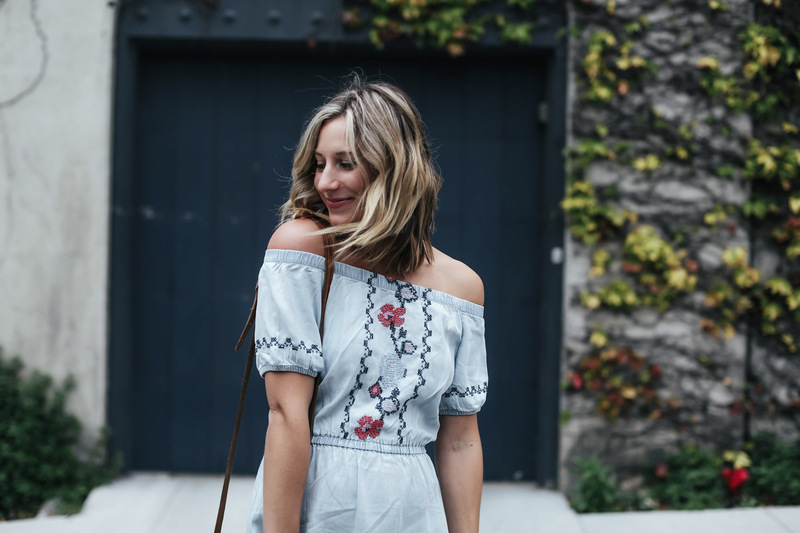 It’s a cliché, but I love pretty floral sundresses for spring And around Easter!